We offer to You apartments for 2 and 4 person. Near house is a parkingspace . The hous is cca. 100 m from Paradies beach. Adria Insel Rab - Island Rab - Isola Rab. 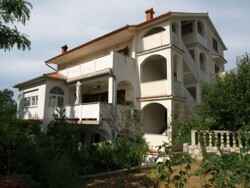 Ferienwohnung Kroatien, Apartments, Accommodation. Ferienunterkunft Ferienfohungen Appartements. Insel, Croatia, Rooms, Rab, Island, Zimmer, Kroatien, Appartments, Diving, Holidays, Apartmani, Otok Rab, Otok, Otoci, Sobe, Adriatic sea, Hrvatska, Adriatic Ferienwohnung, Ferienhaus, Croazia, Camere, Vacanza, Ferienhäuser, Appartamente, Isola, Arbe, Lopar, Supetarska, Banjol, Kampor, Palit, Barbat, Vacation.